Houseplants are nice to have around and they are a pleasure to grow when things go as they should. However, when your plant is looking puny instead of perky, it can be difficult to pinpoint the reason. Good question! There are many possible reasons why your plant is looking sick, but you can usually narrow it down to common houseplant problems with water, light, pests or disease. Learning basic houseplant troubleshooting may help you determine if your plant can be saved, or if all hope is lost. Light – Environmental issues indoors often include problems with light. For example, a plant that looks long and spindly may be stretching to reach available light. A flowering plant that refuses to bloom may also be lacking adequate light. If this is the case, moving the plant to a brighter spot may solve the problem. On the other hand, if your plant is brownish with scorched-looking tips or edges, the light may be too intense. Move the plant to a less intensely lit location and prune out the brown areas. Temperature – Temperature is also a factor. Remember that most indoor plants are actually tropical plants adapted to the home environment. Room temperature may be too low or the air may be too dry. Raising humidity indoors can help alleviate most issues with dry air. Water – How much and how often you water your houseplants can have a major effect on their overall health. Overwatering is one of the most common reasons houseplants fail, as it literally drowns the roots. For most plants, you should allow the soil to dry out some between watering intervals. On the flip side, under watering your plant can be a factor too. When plants do not get enough water, they will begin to wither and dry up. In this case, hydrating your potted plant will normally help. As previously mentioned, improper watering is the most common reason that houseplants fail to thrive. A little neglect isn’t always a bad thing, and well-meaning plant owners may actually kill their plants with kindness. One frequent result of too much water is root rot, a disease that causes the roots or stem to turn soggy and black or brown. Usually, rot is deadly and you may as well discard the plant and start with a new one. However, if you catch the problem early enough, you may be able to save the plant by trimming the leaves and moving the plant to a new pot. Anthracnose, a fungal disease that causes leaf tips to turn yellow and brown. Various fungal and bacterial diseases, often indicated by black dots or water-soaked areas. 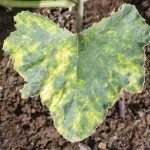 Moisture-related diseases, including powdery mildew, are often an indication of poor air circulation around the plant. Some pests, such as spider mites, are so tiny that they’re difficult to spot, yet they can cause big trouble for your plants. If you can’t see the pests, you may be able to identify them by the fine webbing or tiny specks they leave on the leaves. Mealybugs, which are usually easy to spot by the small, cottony masses on joints or undersides of leaves. Scale, tiny bugs covered by a hard, waxy shell. 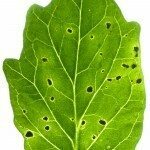 Although they are less common, your plant may be infested with fungus gnats, whiteflies or aphids.